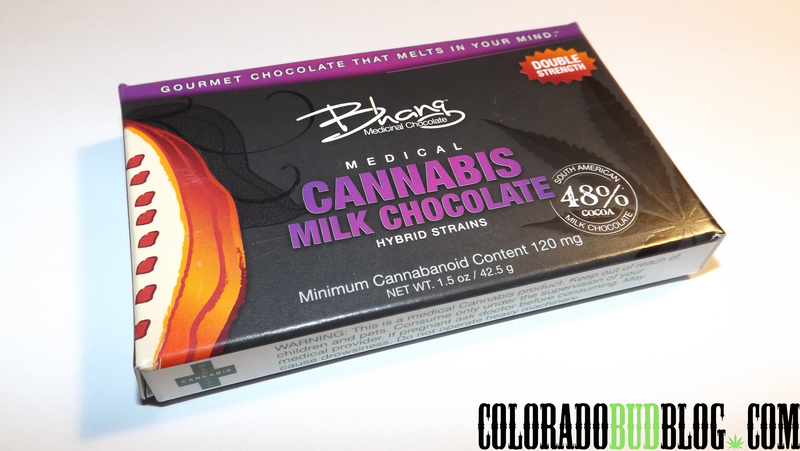 Milk Chocolate Bar from Bhang Medicinal Chocolate. 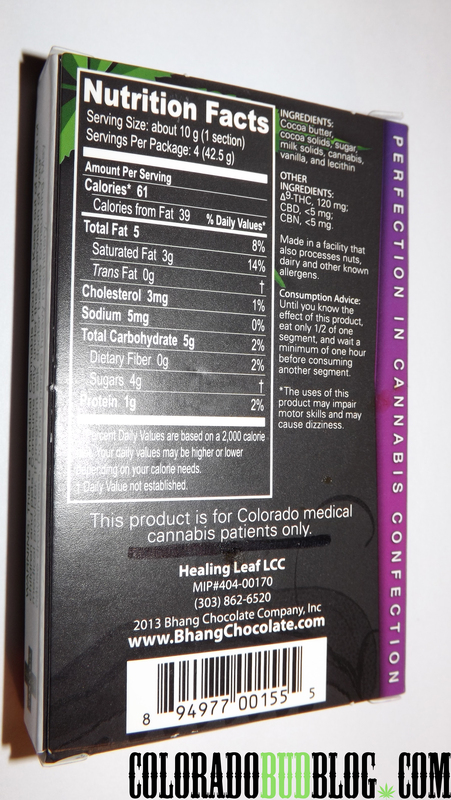 120mg THC, 5mg Cannabidol (CBD), and 5mg Cannabinol (CBN). 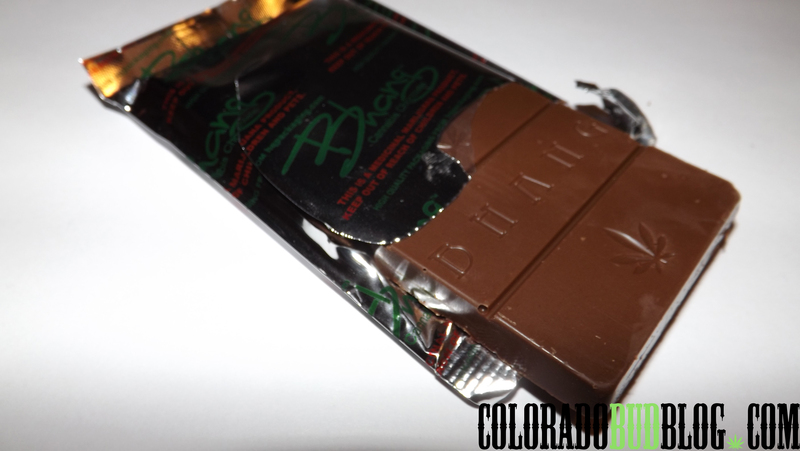 The Milk Chocolate Bar is exactly what the name suggests: Milk Chocolate. While this bar is good, I personally don’t care for it as much since it isn’t dark chocolate and doesn’t have any other flavoring. Either way, I still enjoyed it very much!